Every year, the theme park in our state has a Halloween outing for kids. The park does a spooky event at night for adults, but during the day, it's family friendly. Events include trick-or-treating from park characters and picking your own pumpkin from the patch. For Cory, any outing that involves the plastic pumpkin is a good one as he associates it with candy. When we went to the park's pumpkin patch, I tried to convince Cory to leave his plastic pumpkin in the stroller so he could pick a real pumpkin. But as you can see, that didn't happen. For this layout, I used Simple Stories, mostly Harvest Lane with a little bit of Fabulous and Awesome thrown in. I used paper both from 12x12 sheets and a 6x6 paper pad. 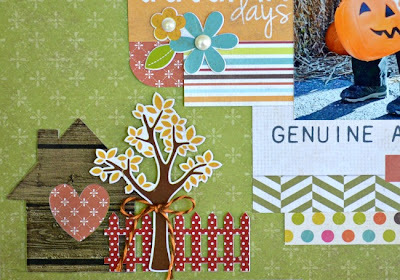 I love the smaller patterns on the 6x6, especially the little journaling cards like the title block, "Autumn Days." To color the doily, I used spray mist from October Afternoon. It gives great coverage and dries quickly. The kraft leaf below it is from the dollar spot at Target. I just added a little ink and stitching and it was perfect for my page. Here's a closeup of the embellishment cluster on the bottom left. At first, I had just the tree and fence there and they looked a little lonely. So I added the house, which balanced it more. For a decorative touch, I added a bit of orange/brown twine around the tree from Trendy Twine. The layout is based on the new sketch by My Creative Sketches for our monthly challenge. 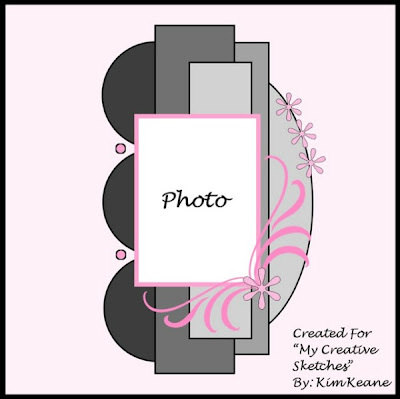 The sketch challenge starts today and runs through Nov. 15. We'd love to have you play along and we have a great prize for the winner, chosen by random draw. You can find all the details on the My Creative Sketches blog. I'm on a little owl kick but I just can't help it. 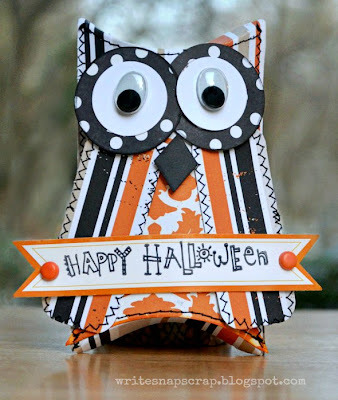 I love the exaggerated features, especially the big eyes, and owls are the perfect critter for Halloween fun. For this project, I used Echo Park's Chillingsworth Manor collection and Trendy Twine's orange licorice to whip up a Halloween treat bag. This was a really fast and simple project. I started by cutting a piece of double sided patterned paper 3 x 12 inches, scored at 4.5 inches from either end. I folded the paper into a tent, stitched across the top to secure it shut, then added a large triangle beak. 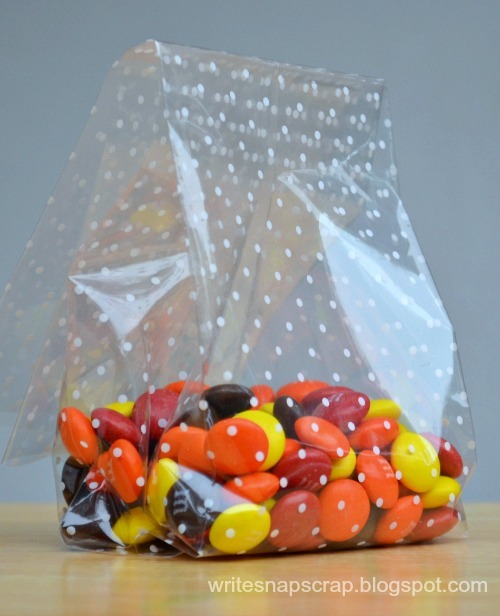 The scoring measurements gave the treat container a 3-inch base which fits flat-bottomed treat sacks from Martha Stewart. I buy the MS bags at Michaels and always keep some in my stash. 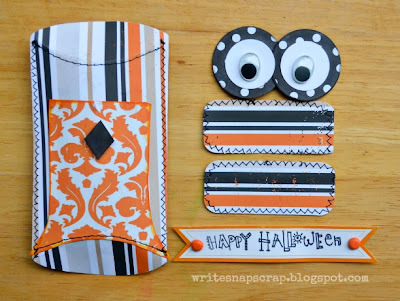 To make the owl's eyes, I used a punch to cut two large circles from black cardstock, covered them with adhesive, then added twine. To wind the twine, I started by tying a knot and using that knot to anchor the twine in the center of the circle. Then I carefully wound the twine tightly around the knot and around the circle until all the cardstock was covered. After I made the twine circles, I added large googly eyes. 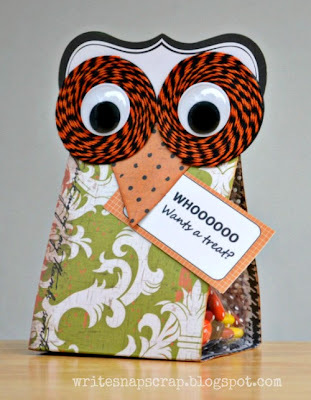 I glued the twine circles on top edge of the triangle nose and added a die-cut journaling spot behind the eyes. Lastly, I ran a journaling card through my printer to add the sentiment: Whooooo wants a treat? You can find more Halloween-themed design team projects on the Trendy Twine blog all this month. You can also play along! 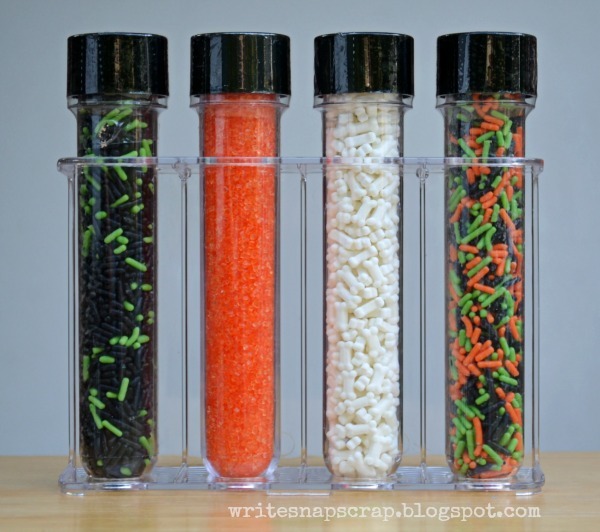 To join the Trendy Twine October challenge, see the details on this post. 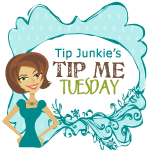 Linking to: Tip Me Tuesday. Some of my favorite photos each year are from our visits to the local pumpkin patch. Even though we often have a long Indian Summer here in the South, it seems like it's officially Fall once the pumpkins are out. 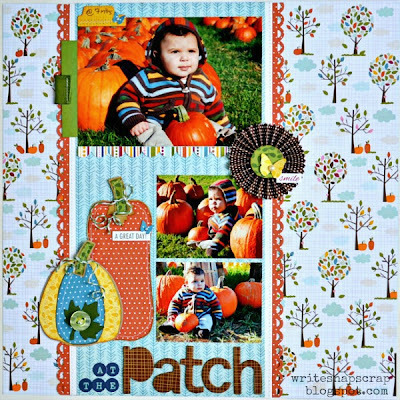 Bella Blvd's Thankful line, which was included in the My Creative Scrapbook kit, was perfect for scrapbooking our pumpkin patch visit. The collection has this fun paper that features a variety of trees with pumpkins sitting underneath. Cuteness! 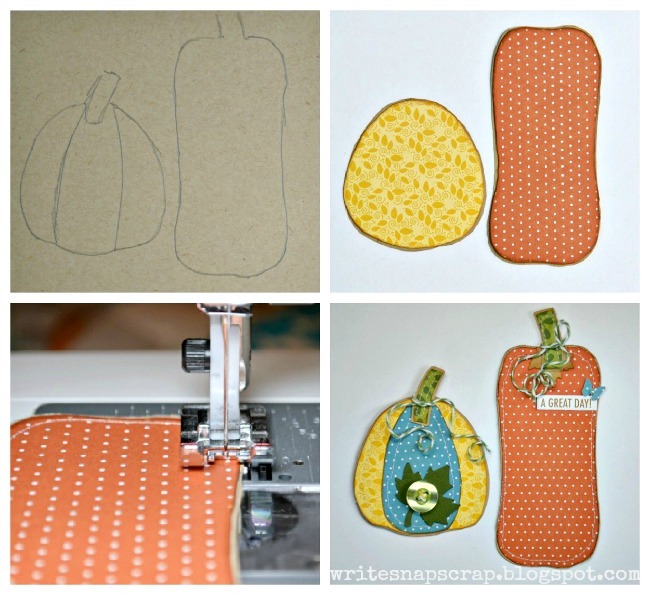 Pumpkins embellishments are really easy to make. 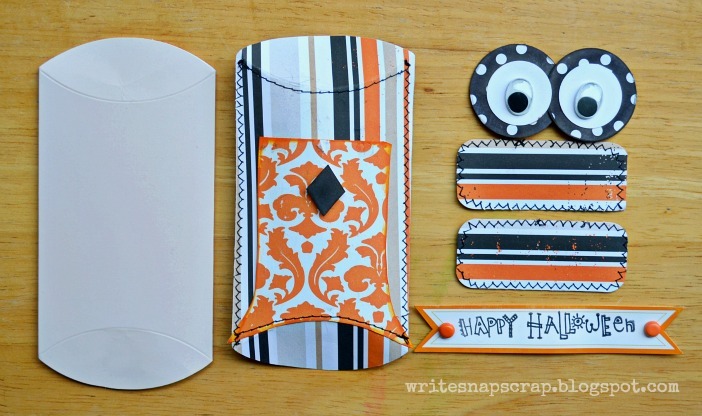 I went old-school here and paper pieced them. I started by roughly sketching two pumpkins - one tall, one fat - on kraft paper to use as my base. I cut out the kraft shapes then traced them onto patterned paper. 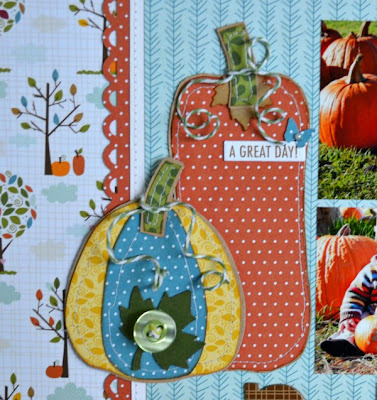 I added a little machine stitching around the edges, then embellished the pumpkins with stickers, button and twine. To curl the twine, I used glue to wet it, then wrapped the twine around a straw to dry. Once dry, I uncurled the twine from the straw. The twine "remembers" the shape and springs back into a curlicue. I used Trendy Twine here in Holly. I have a tutorial on how to curl twine here. 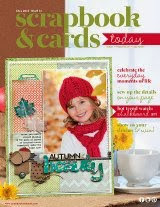 For more information on the monthy kits at My Creative Scrapbook, please visit the homepage. Thanks so much for stopping by. I'll be back on Thursday with a Halloween treat. I love quick and easy treat boxes. They are a great little gift and make candy more fun. The secret? I used a premade pillow box. I bought a package of plain pillow boxes from the wedding aisle at Michael's. I traced the pillow box onto Halloween patterned paper from Echo Park then scored the paper at the folds. I used a coordinating paper on the front for his chest. 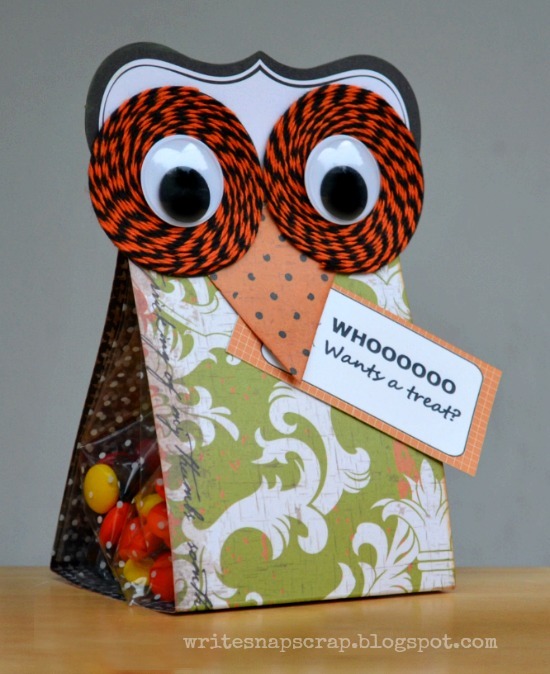 I used a circle punch for big owl eyes and cut a diamond for his nose. To make the wings, I cut two rectangles and rounded the corners. For a decorative touch, I added black stitching to the body, chest and and wings before adhering. 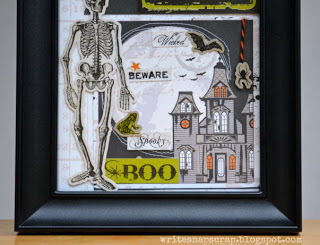 I used a sentiment stamp from the dollar bin and stamped a greeting on a sticker. Then I filled the pillow box with candy for a yummy treat. This project was picked up for the October 2012 issue of Scrapbooks Etc, but, alas, the magazine folded before it was published. Sniff. I did get paid, though. 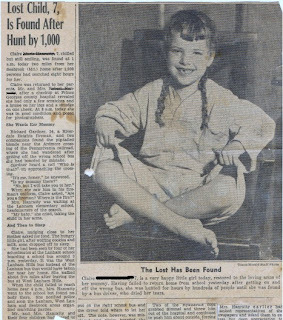 Since it wasn't pubbled, I decided to reprise it here on my blog, just in time for Paper Issue's new theme: Halloween and Harvest. We've got a great sponsor and PRIZE for this theme. 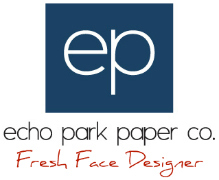 Find out all the deets here on the Paper Issues blog. Want to link up? 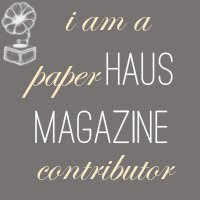 Paper Issues would love to see your seasonal projects. Join the linky party here. 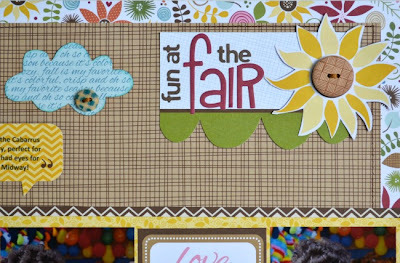 The Paper Issues etsy shop has lots of fun new paper and embellishements including Lawn Fawn washi tape, brand new Glitz and October Afternoon's fun new Witch Hazel and Midway lines. And what's more: it's all on sale. Use code IZZYB20 for a 20 percent discount on everything in the store! 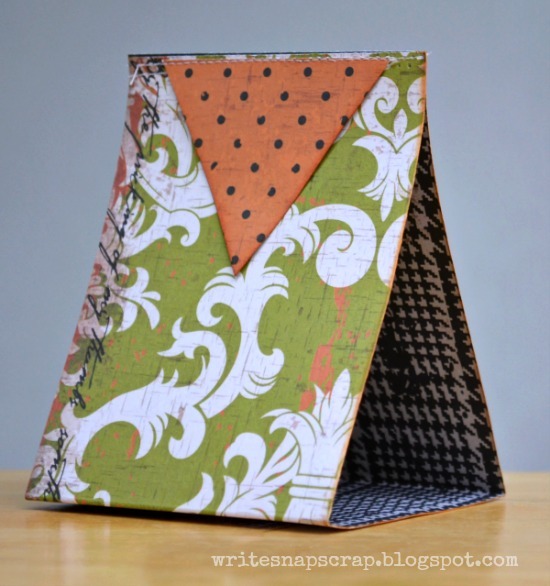 Linking to Tip Me Tuesday and Itsy Bitsy Paperblog. Hello and happy Saturday. 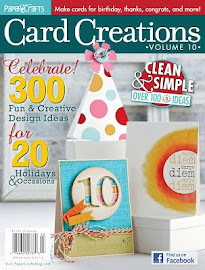 It's a great day for papercrafters, especially card makers. 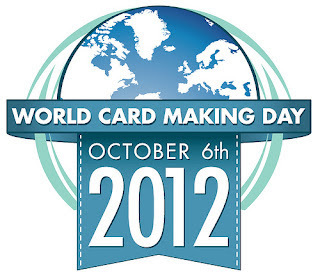 Today we have our own holiday, World Card Making Day. I am thankful for all of you, my crafty friends and blog readers. Thank you for stopping by, for encouraging me, for inspiring me, for making me laugh, for making my day better. I appreciate it so much. 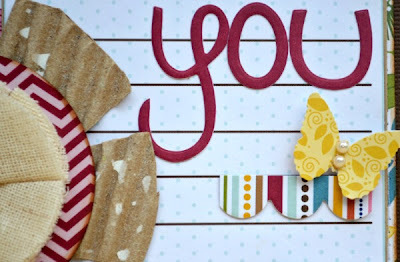 This card is for you. I love the Fall season and Fall collections. I was so excited to see Bella Blvd's Thankful line spotlighted in the October kit at My Creative Scrapbook. I found this line to be so versatile. 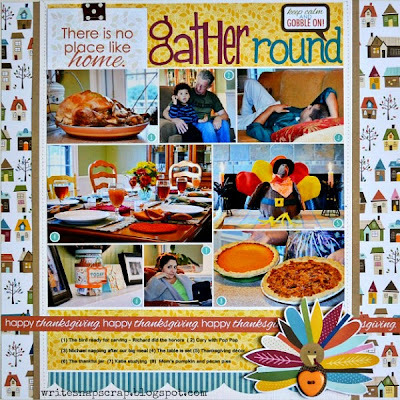 used this collection for a non-Thanksgiving, non-Fall page. On a beautiful (hot!) September day, my family went to the county fair. It was a great outing. I thought my son, age 3, would be most excited about the animals. And while he did love them, what he really had his eyes on - and his heart set on - were the prizes on the Midway. 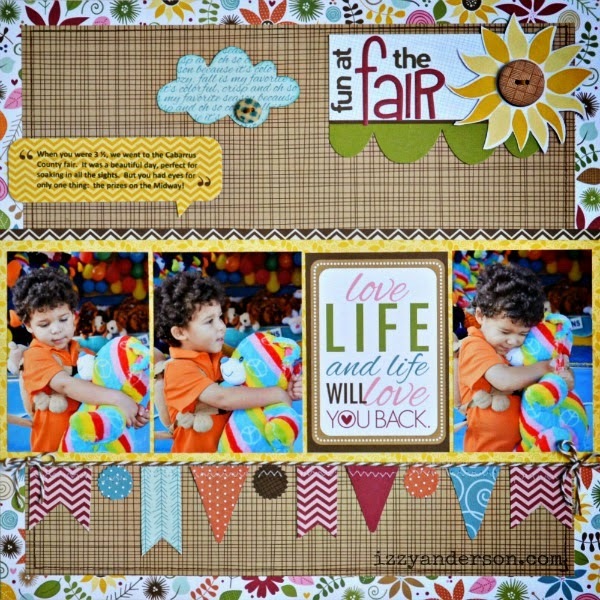 I took this trio of photos, sized them to match the "love life" journaling card in the Thankful collection, and used them as the focal point of my layout. 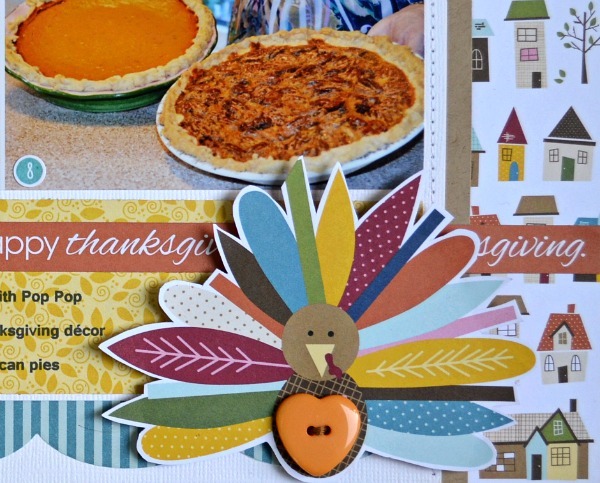 Since the colors in this collection are pretty neutral, it's easy to use Thankful with non Fall layouts. 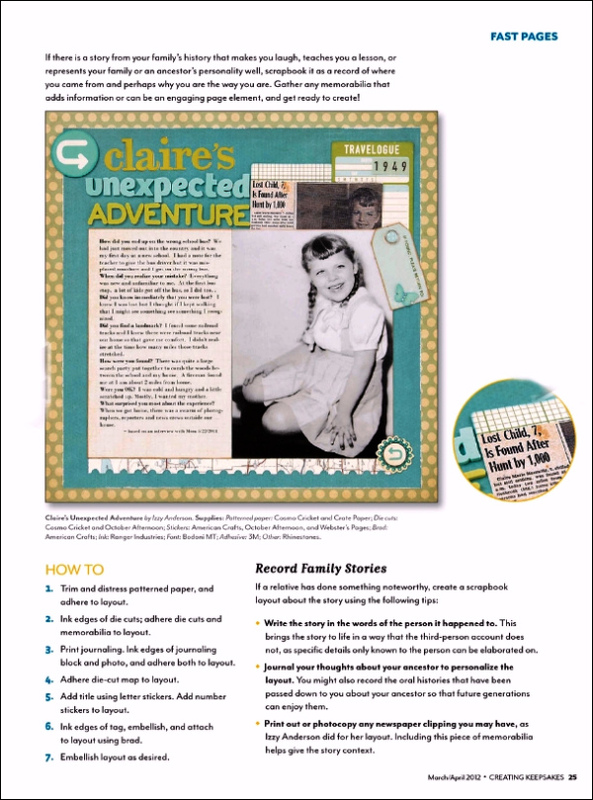 Below is a closeup of the page top. 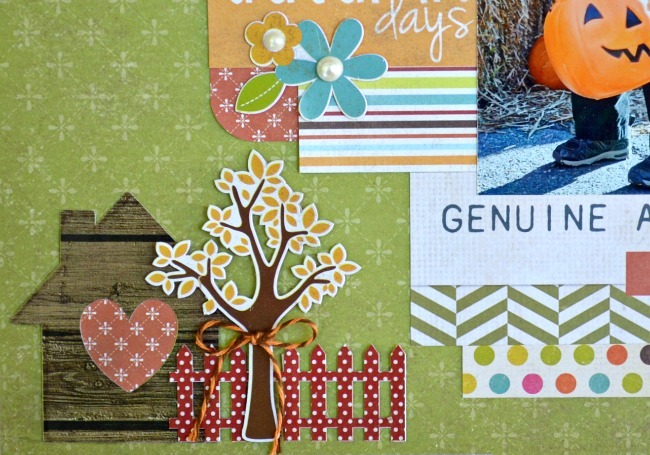 Of course, this Bella Blvd' line is perfect for Fall themed layouts. I particularly liked the Thanksgiving theme that ran through this aptly named Thankful collection. 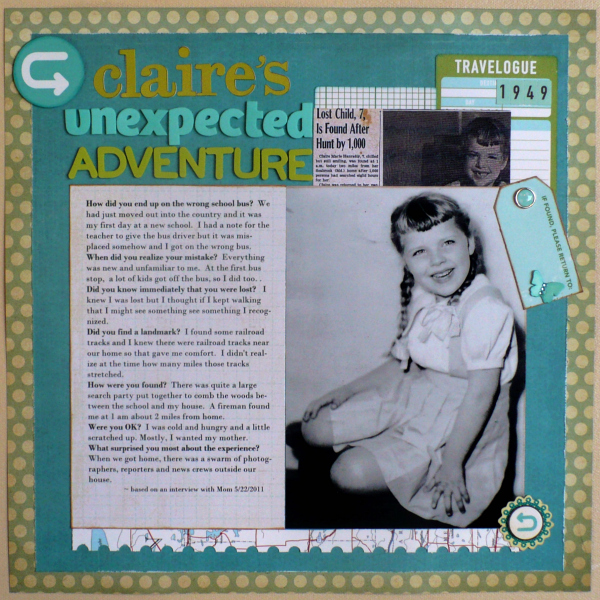 It turned out to be just perfect for scrapbooking a collage of photos from our family gathering last year. 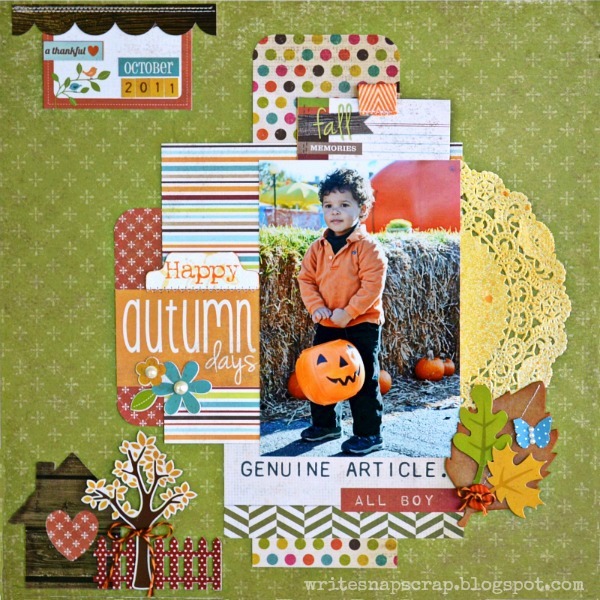 On this layout, I numbered each photo, then journaled directly on the patterned paper below the collage. To do so, I first tested the placement of the journaling on regular printer paper. Then, I cut a strip of patterned paper slightly larger than the journaling area, taped the patterned paper strip on top, and ran the paper through the printer again. Here's a closeup of that cute turkey. It was part of the "Cute Cuts" sheet in the collection. The heart button is also Bella Blvd and was included in the kit. Here's a photo of the kit I worked with, the Creative kit. 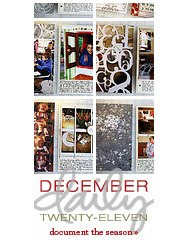 My Creative Scrapbook has several kits to choose from each month. You can see all the kits on the MCS website. I'll be back next week with more projects with this kit. 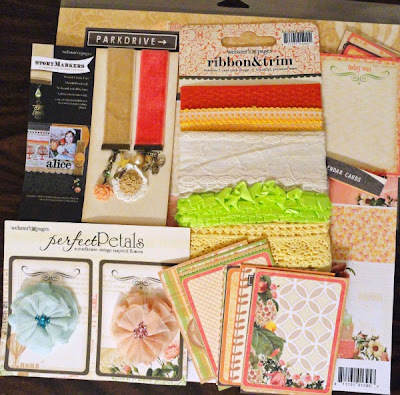 We are also giving away this terrific prize package on Monday of papers and embellishments from Webster's Pages, featured in our Limited Edition kit. To enter the drawing to win this prize (pictured above), just leave a comment on the My Creative Scrapbook blog by midnight EST on Sunday. We'll announce the winner on Monday, Oct. 8. I think Halloween brings out the kid in all of us. I love this holiday and look forward to it every year. Not only is the actual evening fun, but so is the whole month in anticipation. 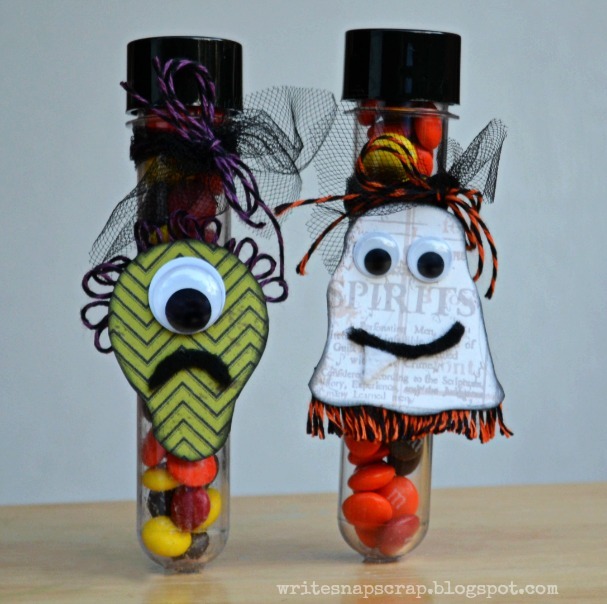 The Trendy Twine design team was challenged this month to make "spooky but cute treat packaging." I decided to make some little monster test tubes. These were really quick and easy to do. They started life as a set of Wilton Halloween sprinkles which I emptied and filled with Halloween M&Ms. The test tubes came in an acrylic stand. I turned the stand around to display the monsters so I'd have more working room. 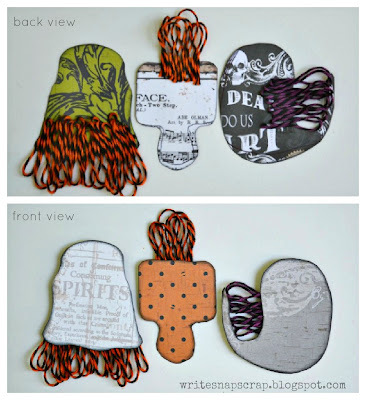 To make the monsters, I hand-drew and cut whimsical shapes on patterned paper from Echo Park's Halloween line, Chillingsworth Manor. 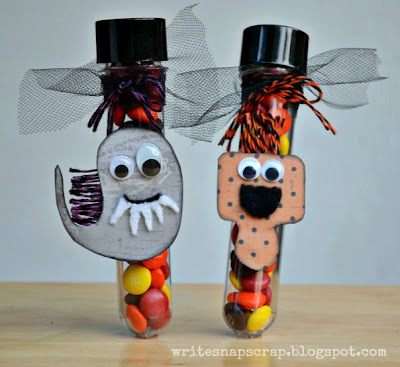 I added some twine fringe or loops to each monster. To make the fringe, I put down a strip of adhesive on the back, then tightly looped the twine on top, overlapping the monster shape. 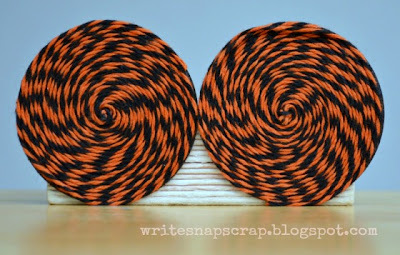 I used Orange Licorice and Grape Licorice twine. After I had the loops, I trimmed the twine to make fringe. I used the same method to make the curly hair on the fourth monster, but made smaller loops and didn't trim them. To make the monster faces, I used felt and googly eyes. To see more Halloween projects from the Trendy Twine design team, visit the Trendy Twine blog. 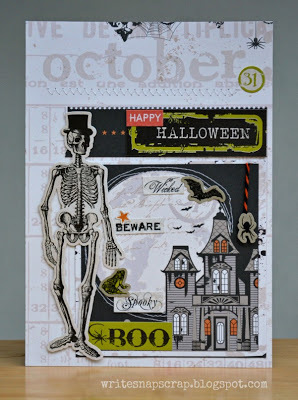 To join our Halloween challenge, please see the details here. Linking this project to Tip Me Tuesday. 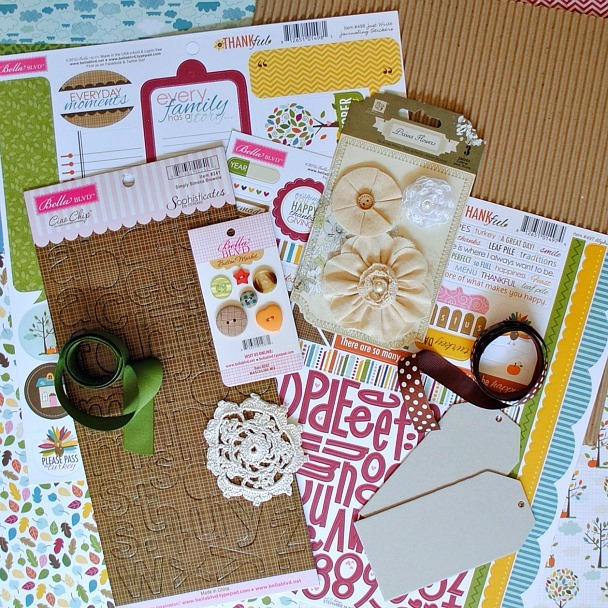 The design team at My Creative Scrapbook is all set to reveal the new October kits on the 5th. As always, we had with several different kits featured this month and all are just beautiful. 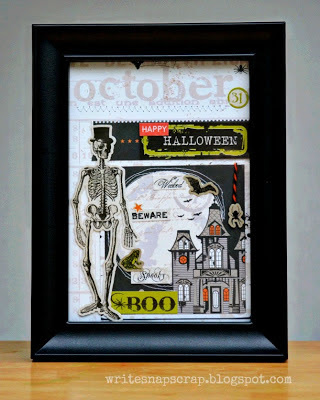 Do you recognize the paper and embellishments? You can check back here or on the My Creative Scrapbook website on Friday for the full reveal. You can find sneaks of all the kits on the My Creative Scrapbook blog. Thanks for stopping by. 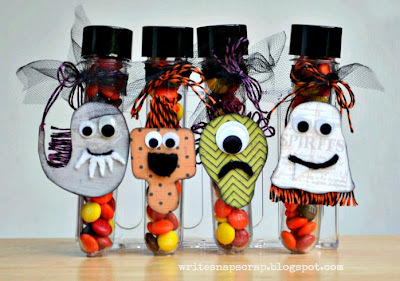 Tomorrow, I'll have some Halloween treats on my blog that were super fun to do.